Faculty of Medicine at Kateb University (KU) is committed to pioneering public healthcare and enhancing the quality of remedial services in Afghanistan. Equipped with latest resources as well as highly-qualified and experienced faculty and advisory board, KU hopes to meet the demands in public health services by training professional physicians, by providing ground-breaking biomedical research, and by implementing standardized healthcare plans and services in Afghanistan. Faculty of Medicine at KU has seen measurable growth since its inception in 2011. Starting with only six lecturers and 170 students, it has now ten lecturers, 40 MA and PhD Visiting Professors, and 638 students. In addition, the Faculty has expanded its resources, vocational training programs, and partnerships with local and international institutions. Faculty of Medicine at KU envisions to be a reputable leader of healthcare transformation in the country and beyond. 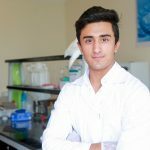 We are committed to playing a pivotal role in the development and sustainability of public health in Afghanistan by educating and training dedicated professionals and medical experts and pursuing biomedical research and clinical innovations. To expand collaboration with well-reputed institutions across the region and beyond.